Why is the former newPeoples Democratic Party (nPDP) bloc within the All Progressives Congress (APC) aggrieved? Three issues are behind threat to leave the ruling party, it was learnt yesterday. 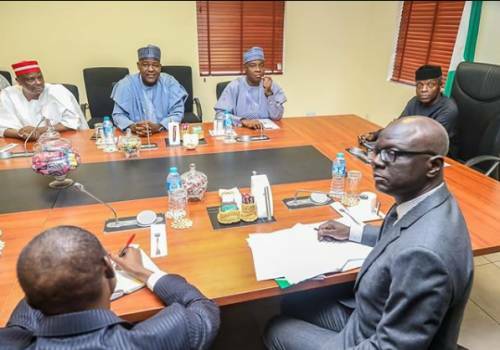 The issues were identified at a meeting between Vice-President Yemi Osinbajo and some of the ex-nPDP leaders at the Presidential Villa, Abuja on Monday. The meeting raised an eight-man panel to resolve the issue. The panel will comprise four members each from both sides. The meeting was a follow up to the one with the APC leadership few days ago. The group had given the party one week to meet with it over its grievances. Saraki’s trial before the Code of Conduct Tribunal; shutting out of House of Representatives Speaker Yakubu Dogara and Senator Rabiu Kwankwaso from the APC ward and local government congresses in Bauchi and Kano states; and alleged persecution of ex-nPDP members by anti-graft agencies and Inspector-General of Police Ibrahim Idris. The issues are expected to be resolved before APC’s national convention next month. Osinbajo is leading the Presidency’s four members on the panel. The nPDP has yet to submit its list of members. Other members of the Presidency’s team, it was learnt, include Secretary to the Government of the Federation Boss Mustapha and APC Deputy National Chairman (North) Lawal Shuaibu. A source said: “It was agreed that some of the issues raised by ex-nPDP leaders are genuine and we need to come up with the way forward. “So, the Presidency, the APC leadership and the aggrieved leaders of the nPDP have agreed to set up an eight-man committee to resolve all issues. “The committee has been mandated to address the grievances of the ex-nPDP leaders on or before the National Convention on June 23. “We have realised that time is no longer on our side. If you look at the poll timetable by the Independent National Electoral Commission (INEC), party primaries for the presidential, governorship, federal and state elections will begin on August 18 and end on October 7, 2018. “The implication for the APC is that it cannot allow this ex-nPDP challenge to drag beyond June. If we allow it to fester till July, it might affect our chances at reconciling before the general elections. “Except for speculations, the ex-nPDP leaders have not given any signal at our sessions that they are ready to leave APC for another party. The source added: “We are expecting the ex-nPDP leaders to submit the list of their members who will be on the committee. The source added: ”If the eight-man panel could meet up with the deadline, its recommendations will be sent to President Muhammadu Buhari.